With green being the colour of choice today, we’re sure it can be seen as far as the eye can see – from clothes to food, and even hair! We’re looking at the green drinks that you can indulge in today to get in the spirit of the celebrations. We might not have a Shamrock Shake, available at a little fast-food chain with golden arches across the of the pond, but there are plenty of other beverages we can enjoy on St Patrick’s Day. Perhaps you want to start your day with an Irish Coffee, just to make things interesting. Or instead, you might want to go out get a real taste for the occasion. 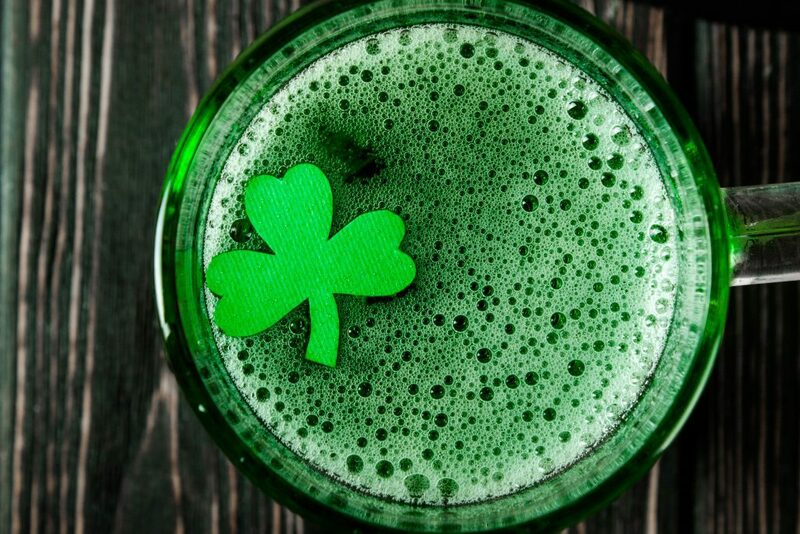 Plenty of bars will be serving green-themed cocktails, and while not technically green, Guinness will be flowing from the taps of bars and pubs across the world! If you’re looking for something a little more healthy, there’s the iconic green smoothie, or maybe a green tea matcha latte to get you started in the morning- and possibly detox from the night before. Show us your St.Patricks Day drink of choice and tag #YourWorldCup for a chance to be entered into our Beyond Your Comfort Zone competition, with the chance to win up to £1000! Could today be your lucky day? We hope everyone has a fantastic evening!